This series is very beloved to me. Im addicted to the "Boom"! Even though there are many mixed reviews for this series, since all the books are very similar, I absolutely love that they are. If it aint broke, dont fix it. Am I right?! 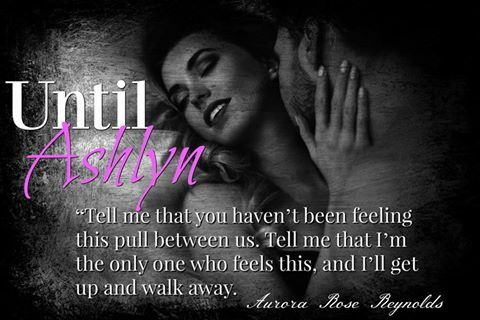 Aurora Rose Reynolds is an auto one click for me and I know her books can never disappoint me. Until Ashlyn is part of The Until spin off series. If you ask me my favorite from the spin off would have to be Until July. Until Ashlyn had the potential to beat Until July for the top spot had it not been for the time jump from the Prologue to Chapter 1. Thats the only complaint I have and it's not even that big of a deal. I hope ARR never stops writing the "Boom" cause my heart is completely invested.